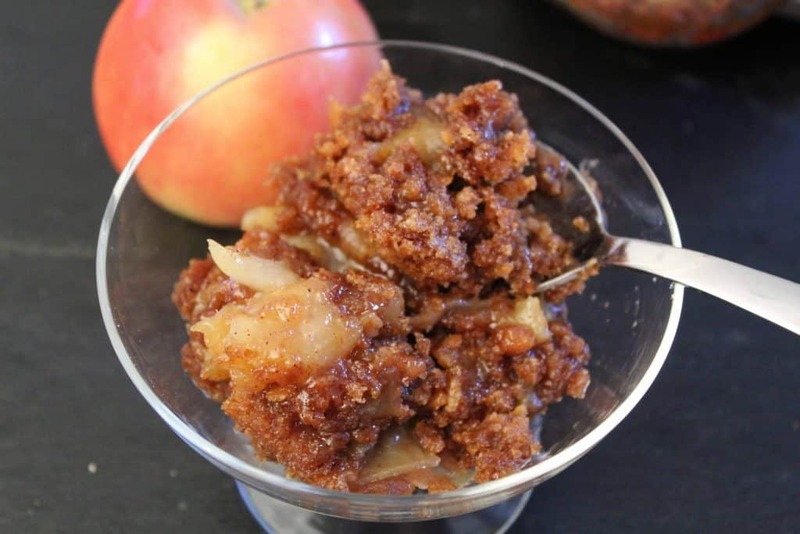 Quick Apple Crisp is easy to make and absolutely perfect for Fall when apples are in season! This recipe requires only a few ingredients and makes your house smell fabulous! 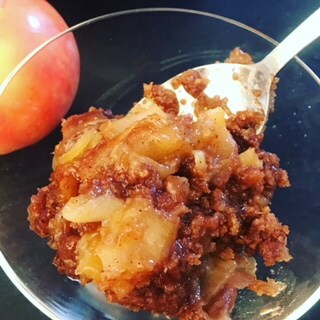 What Type of Apple Should I Use for this Quick Apple Crisp recipe? I used Fuji apples, however, you could probably use any other red apple such as Gala or Pink Lady. I wouldn’t recommend a Red Delicious apple simply because they are grainier than other red apples and fall apart when baked. Granny Smith apples would work, too, but they tend to keep their form better than red apples. Because this is a “crisp”, I wanted an apple that would dissolve a bit, but still contribute a sweet flavor, so I chose Fuji. Can I Use Honey Graham or Cinnamon Graham Crackers? I suppose you could, but I don’t know how well the Cinnamon flavored Graham Crackers would do in this dish, simply because it already has cinnamon as one of the ingredients. 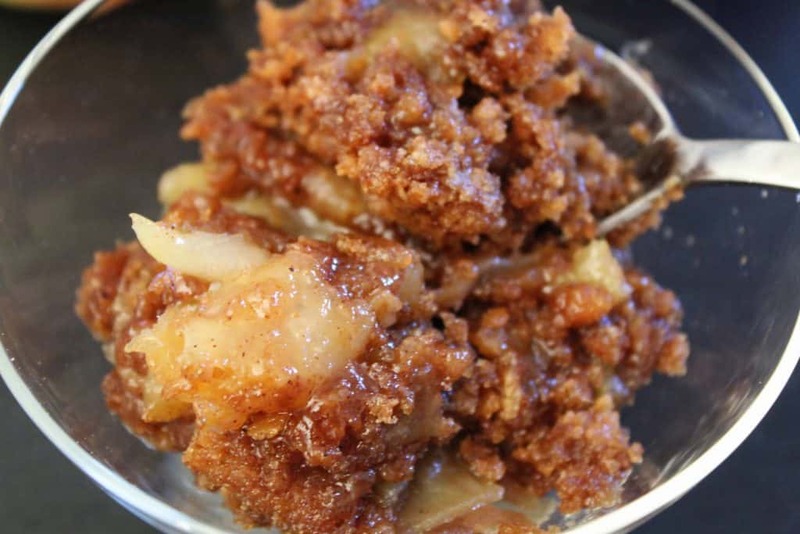 Baked apples topped with a crispy layer of graham crackers, brown sugar, cinnamon and nutmeg! This recipe makes enough for about four small-medium servings; I recommend you double or triple the recipe for large groups. This dessert tastes good with ice cream on top -- or whipped cream!